Mary Magdalene's cave - the French tradition of Saint Lazare of Bethany is that Mary Magdalene, her brother Lazarus, and Maximinus, one of the Seventy Disciples and some companions, expelled by persecutions from the Holy Land, traversed the Mediterranean in a frail boat with neither rudder nor mast and landed at the place called Saintes-Maries-de-la-Mer in the Camargue arear. Lazarus came to Marseille and converted the whole of Provence. 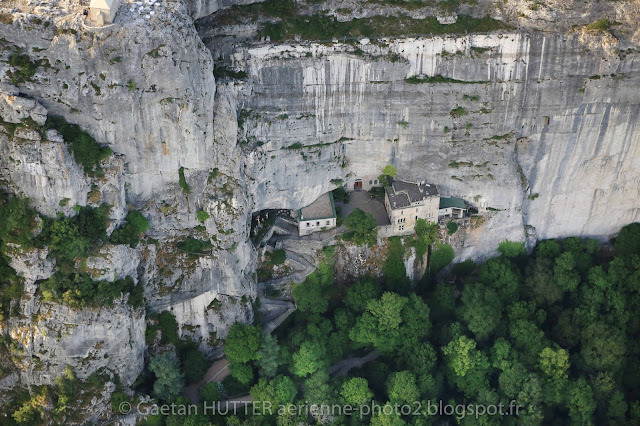 Mary Magdalene is said to have retired to a cave on a hill by Marseille, La Sainte-Baume ("Holy Cave"), where she gave herself up to a life of penance for thirty years. Mary Magdalene - literally translated as Mary the Magdalene or Mary of Magdala or occasionally The Magdalene, was a Jewish woman who, according to texts included in the New Testament, traveled with Jesus as one of his followers. She is said to have witnessed the crucifixion of Jesus and resurrection.